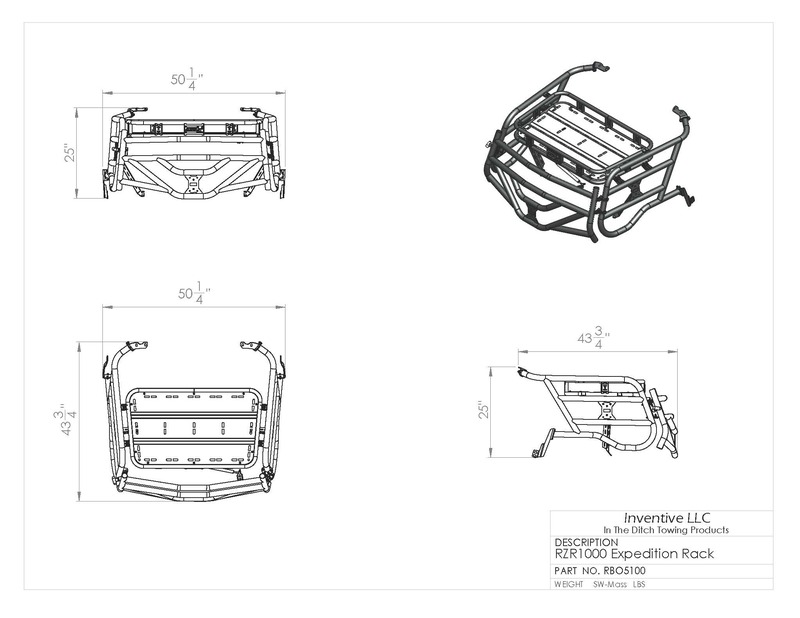 We designed our Expedition RZR Cargo Rack to take all the abuse that the Polaris RZR 1000 can dish out. 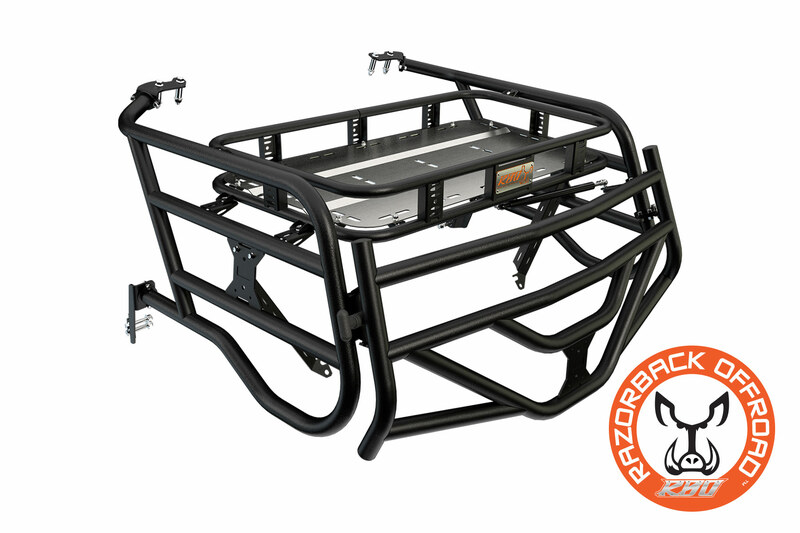 The RBO Expedition Rack™ is made from 1.5” Diameter Steel Tubing. It has a rugged powder coated finish and is manufactured by us right here in IDAHO. The Tailgate can be locked with a Pad-Lock so you can keep your possessions locked and secured from thieves. The Tailgate on our Expedition Rack has a gas strut to hold the tailgate open and out of the way. The Expedition Rack also features our “It Fits” ™ RBO Mounting system. With the “It Fits” ™ mounting system you can quickly and easily install any RBO accessory with the “It Fits” ™ icon. Carrying a fuel can, water jug or spare tire has never been easier or cooler looking then by using the “It Fits” ™ RBO Mounting system on your Expedition Rack. The RBO Expedition Cargo Rack comes with everything you need to install it on your machine without drilling or modifying your machine. 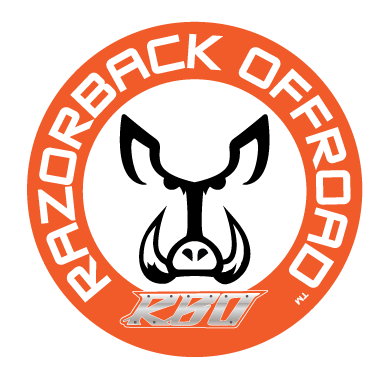 It is designed to work with your Polaris ® RZR100 Polaris RZR XP1000® or the Razor XP Turbo. When it comes to satisfaction, we believe in backing up our products. That’s why we offer a 30 Day money back guarantee*. 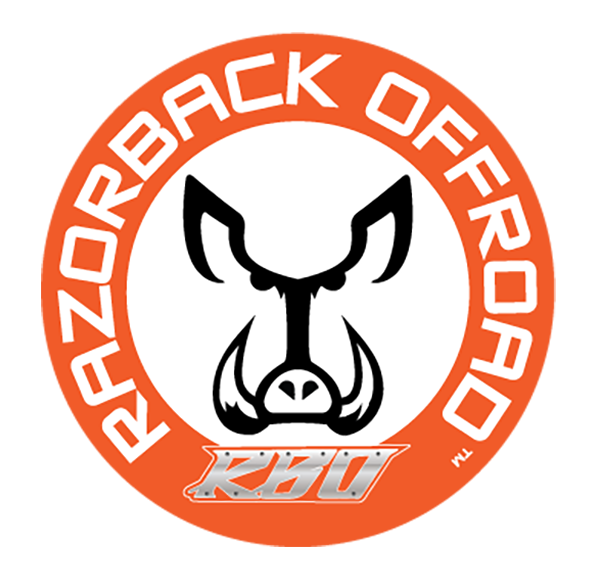 Experience today why so many people are installing a RBO Cargo Rack on their Side x Side UTV. Installed the Expedition Rack on my RZR 1000, it is sweet. From design through construction a 5-Star product. Thank you so much. Sick and Sweet! Installed on my Rocks & Trails Edition 1000XP. Now I have more roll cage space for other accessories AND a rack to put more stuff than I ever imagined! This Cargo Rack still allows me to carry my two Rigid boxes and my medium size, rotomolded lunch/beer cooler….and nothing needs to be tied down!! The looks I get are amazing! Even two wheelers stop me to ask about the rack. I’m gonna have to raise my rear suspension and perhaps my rear tire pressure as necessary to accommodate the increased weight/capacity. Still accommodates my fiberglass flag pole on driver’s side and LED whip on passenger side. The gas shock does bend the whip a little when the back gate is fully opened, but no biggie. BTW, love the gas shock feature to keep gate/spare tire open securely.